Good day dear valued customer, Kingtronics team wish you and your family healthy and prosperous throughout the new year 2018. Kindly please remind our factory will begin Chinese new year holidays at the middle of February, at least 2 weeks. May we know if you have new inquiry or order request recently? if you have future order plan and delivery schedule, kindly please advise us and confirm the order early, we will do best to proceed the case and catch up your lead time request. In new year, our company will keep improving our production line support. 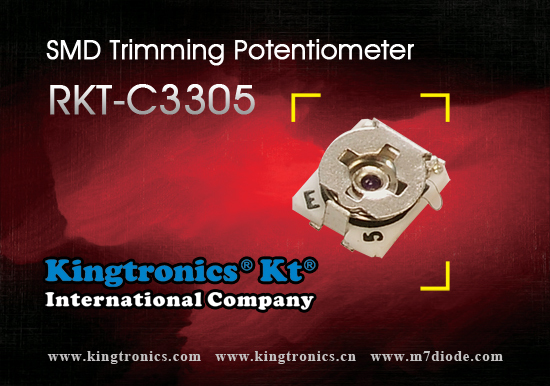 Below is our product information of KKT--Chip Ceramic Trimmer Capacitor, welcome your inquiry. •	Designed for reflow soldering. 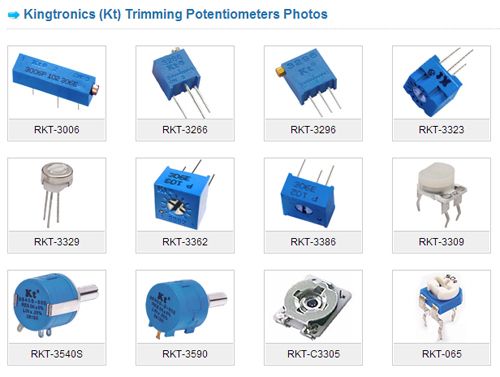 Do you need any trimming potentiometers? 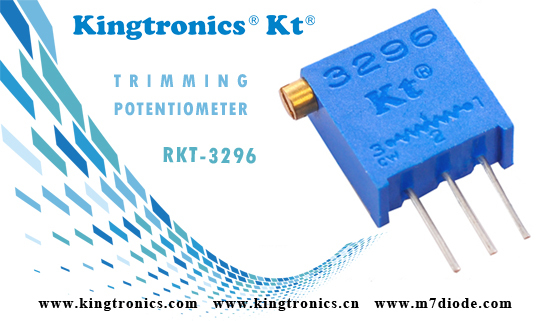 We offer "kingtronics" brand with competitive price, very speedy delivery and very high quality. And our products are well crossed to Bourns Brand, which perform a variety of circuit adjustments in all types of electronic equipment. 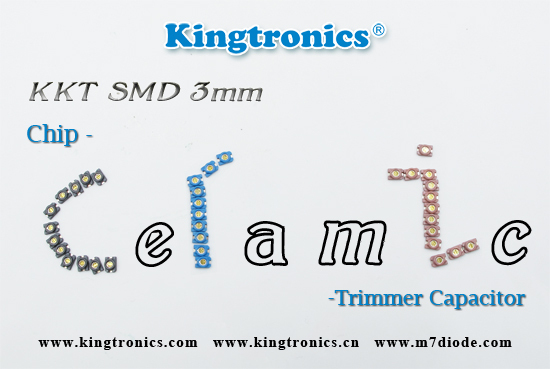 Around the world, trimmers are used in virtually every electronic market. 3/8" Square Multiturn Trimming Potentiometer, Cermet, Sealed, 3296W,3296X,3296Y,3296Z,3296P. All of our products are with RoHS compliant, what's more we have more than 20 years experience for trimmers, have mature technology! Please come up to kingtronics, we will be your best choice! 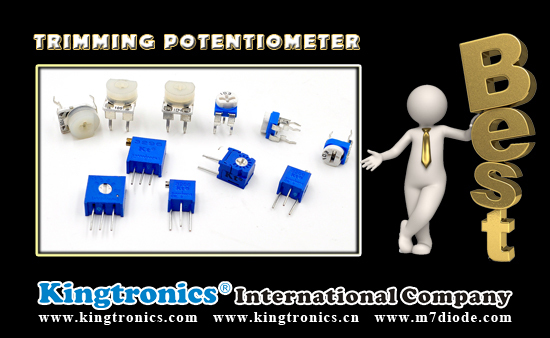 Trimming Potentiometers carry specifications for potentiometer category and actuator configuration. Industrial-grade potentiometers are protected by an enclosure, typically one that is rated by the National Electrical Manufacturers Association (NEMA). Typically, industrial-grade products are gear-driven and have connector outputs. 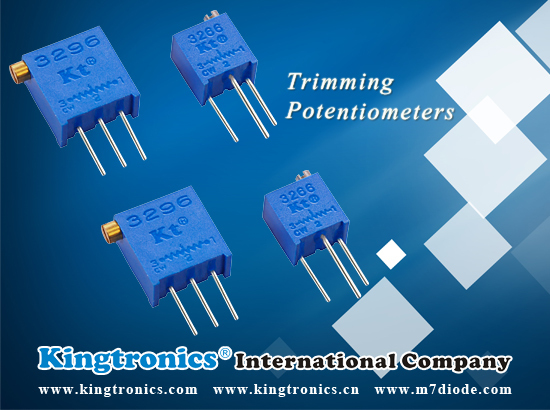 These Trimming Potentiometers resist the ingress of dirt and dust, and last longer than unenclosed potentiometers. 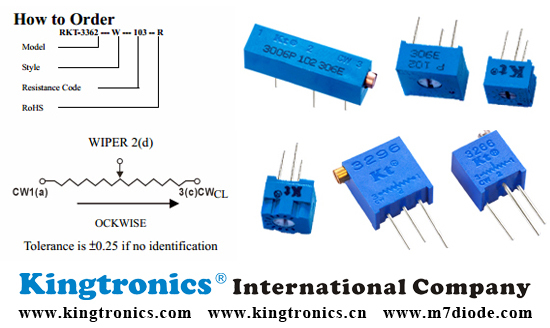 Discrete-board components, another potentiometer category, are also commonly available. In terms of actuator configuration, choices include single-turn, multi-turn, and slide. With single-turn devices, the shaft rotation is limited to less than or equal to 360 degrees. 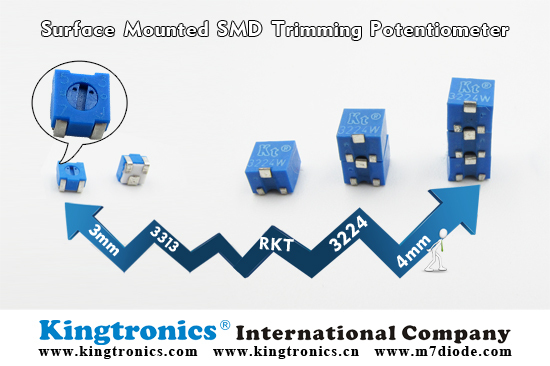 By contrast, multi-turn Trimming Potentiometers can be rotated multiple times, with as many as 15 or 20 turns from stop to stop. Slide-actuated products require the user to move a handle instead of rotating a knob.